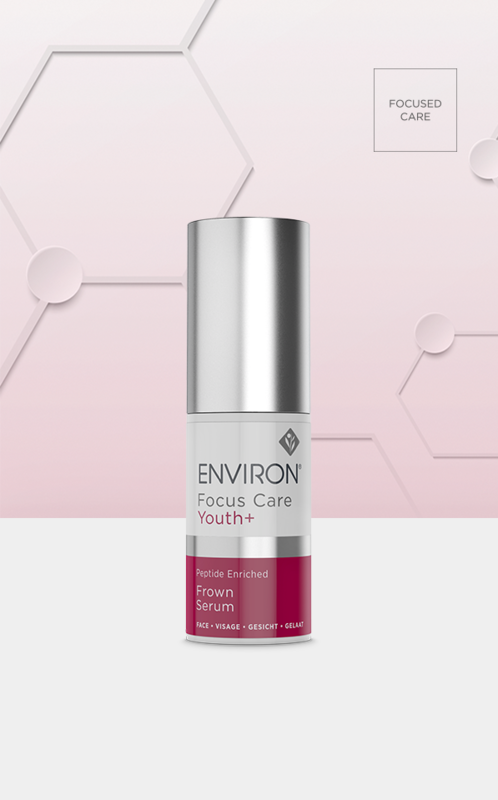 To optimise efficacy, use the serum in conjunction with Environ’s Electro-Sonic DF Mobile Skin Care Device which will assist to deliver more essential nutrients to where the skin needs them most. Prepare the areas where expression lines exist with the Environ Cosmetic Focus-CIT® or Environ Cosmetic Roll-CIT®. Massage 1-3 drops of Frown Serum into your skin and allow to dry.